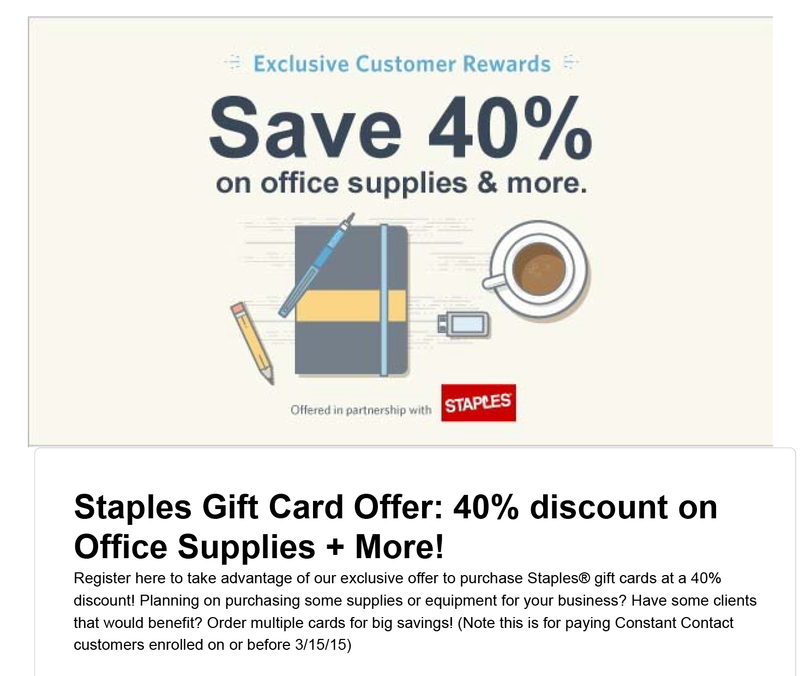 Constant Contact appears to be having a 40% off Staples gift cards. I noticed this promotion while logged into constant contact, a online toolkit many companies use for email marketing. The deal is $30 for a $50 staples gift card. Since I go to staples all the time for their easy rebates and other deals you can stack multiple discounts. Purchased 6 GC for $180 worth $300 at Staples for a $120 money maker. Their confirmation email did say it would take two weeks for the GC to arrive. I am hoping this deal is as good as it seems. 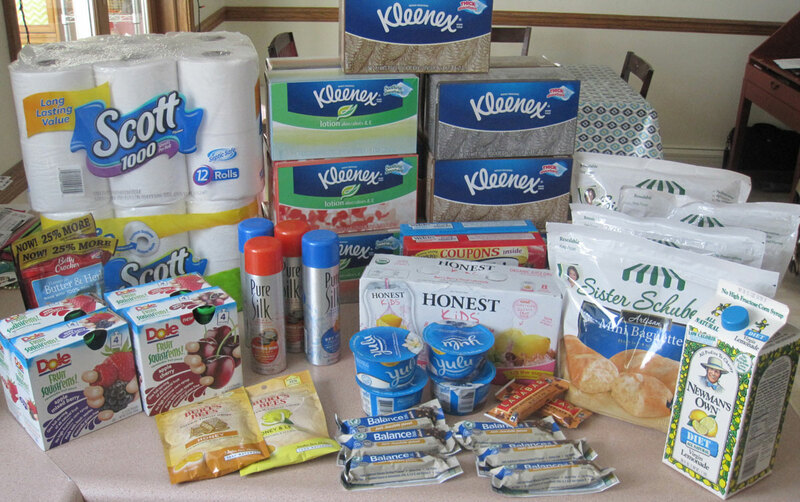 Stop and Shop has a good deal on paper products this week, stackable with a Catalina and if you haven’t used it the Kimberly Clark Mail in Rebate. Some people who have called customer service report the MIR is based on the pre-sale price while others say it is based on the after sale price. To play it safe, buy $35 of products after sale pricing. You pay $14.48 for (4) 12 pack of Toilet paper and 12 big boxes of Kleenex tissues. *These are the bigger single boxes, not the small 70 counts. Ultra was 210 count. I am already missing the Stop and Shop freezer deal which ended on 3/19/2015. In case you missed it, if you spent $25 off of certain products you got an instant $15 off. Needless to say we went many times, and even ended up sending a parent who drives by stop and shop daily. One of several trips that we made when we where near a stop and shop, all had pre-discount totals of $40+. Transaction #1, 8 Kidfresh frozen meals, 2 boxes of blue bunny ice cream treats. paid $7.93I am hoping stop and shop runs this promotion again. I signed up for an AmEx promo with their Gold card at the beginning of the year. They where running a bonus point offer, 50K points if you spend $1000 in the first 3 months. Well I knew spending the $1000 was not going to be an issue. I was happy to see that they awarded me the bonus points the other day, what a nice thing to see. Great deal on Talenti Gelato at stop and shop, heck you don’t need any coupons either if you don’t want to. Its amazing stuff, we buy it whenever it is on sale it is usually expensive. Stop and shop has a spend $25 on certain frozen items and you get $15 instantly off your order. 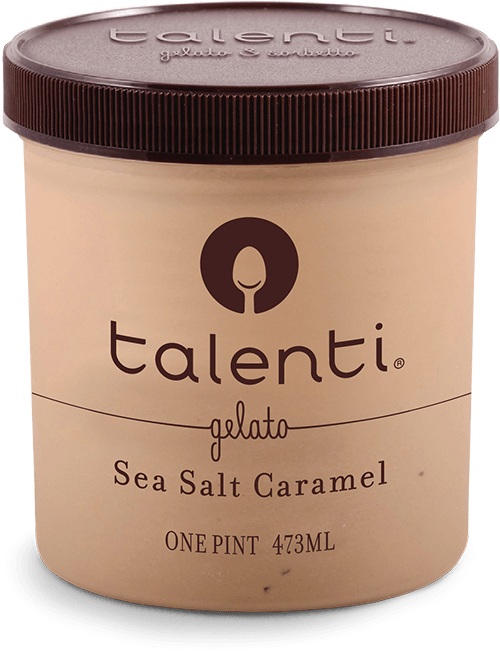 $8.93 for 7 container of Gelato that normally cost close to $5 each. One of the best matchups was a Kimberly/Clark products deal that was running that could be used for a double dip.The products where on sale at Price Chopper, and the shelf price is typically what works on the MIR and Catalina’s. $6.77 for 2 jumbo packs of TP and 13 big boxes of tissues.